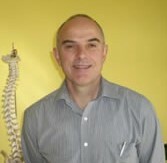 You’re in safe hands with our team at Eastern Chiropractic on Doncaster Road in North Balwyn. We care for your health and wellbeing from the minute you step through the door. Call 03 9857 4503 now for an appointment or click here to send a request online. Since qualifying in 1983 as a Chiropractor from Phillip Institute of Technology (now RMIT University), Nereo has treated thousands of patients over the years in the eastern suburbs – nurturing them back to a healthy active life. He is a member of the Chiropractic Association of Australia and Associate Member of the Australasian College of Chiropractors. Caroline Bell has over 20 years experience as a Remedial Massage Therapist and offers a range of massage services. With us since 2005, Caroline has treated patients using a variety of methods including myofascial trigger point therapy, deep tissue massage, relaxation massage, reflexology (to feet, hands & ears) auricular therapy, iris analysis, pregnancy massage and cupping. Caroline is a Graduate of the Australian School of Therapeutic Massage.